Openreach, the business responsible for Britain’s largest phone and broadband network, is answering a call to build fibre-to-the-premises (FTTP) technology capable of ultrafast speeds up to one Gigabit per second (Gbps) for properties on sites in locations including Aylesbury, Haddenham, and High Wycombe. 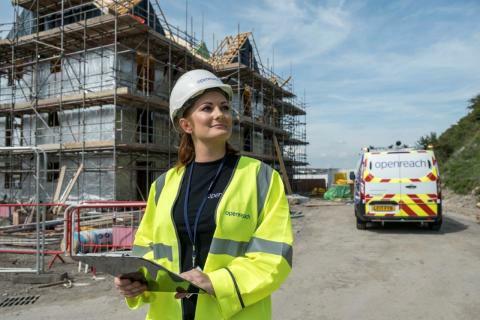 As well as the schemes in Buckinghamshire, Openreach has made FTTP technology available to more than 2,000 new developments nationwide, covering more than a quarter of a million premises, since the partnership launched last year. “It reflects our commitment to ensuring that Buckinghamshire and the UK has a first-class network, capable of delivering the latest communication services for households, businesses and other organisations.